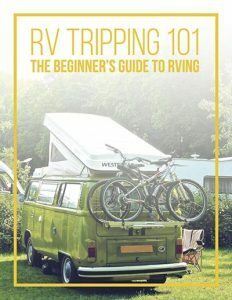 RV Wheels & Fifth Wheels: 10 Things You Need to Know! Let’s talk wheels. First there are the wheels on your RV. Like the wheels on any vehicle, these need to be taken care of and replaced on a regular basis. After all, RV wheels are literally where the rubber meets the road! Next is the classification of RVs called Fifth Wheels. A Fifth Wheel RV (sometimes called a Fiver) is basically a travel trailer that hooks up to a truck or other larger vehicle directly above the rear axle by way of a special hitch. This method causes a portion of the RV to hang over the tow vehicle and distributes a portion of the weight to rear axle of the truck. If you want to get fussy, the term fifth wheel actually refers to the coupling between the truck and the camper it’s hauling, but it’s pretty common to refer to the whole camper as an RV Fifth Wheel. Before you buy RV wheels, tires, or a Fifth Wheel RV read on. Here are ten things you’ll want to know! The tread depth should be at least 6/32 of an inch. That’s deeper than a regular car tire, so the Lincoln head on a penny trick won’t work. However, you can flip the penny around and use it as a measuring tool. Put the tail side upside down into a groove. If the top of the Lincoln Memorial is still covered, your tread depth is good. If it’s not, you’re under 6/32 of an inch and should replace that tire. This is the wear and tear on the sides of the tire. If you start to notice cracking and obvious wear, it’s probably time to get your tires replaced. You’re more likely to find sidewall weathering on RVs that are stored for long periods of time between use, RVs that are very heavy, or RVs that are consistently used in warmer climates because of more exposure to extreme levels of ozone. Make sure the tires on your RV wheels are inflated to the proper pressure. This should be indicated on the tire itself, but if you don’t see it, consult the manufacturer for the correct PSI. Incorrect pressure can cause unnecessary wear on the tire, negatively affect your gas mileage, and have other safety implications. Storing your RV for more than six months at a time can actually put a lot of unnecessary stress on your tires and reduce their life. Take the vehicle out for an occasional drive, or rotate the tires to prevent uneven wear and sidewall weathering. Skid wheels attach to the rear trailer hitch of your vehicle and may be a worthwhile investment. If your RV has a low profile and you encounter issues with the tail of it dragging when back up on graded terrain, consider a skid wheel. 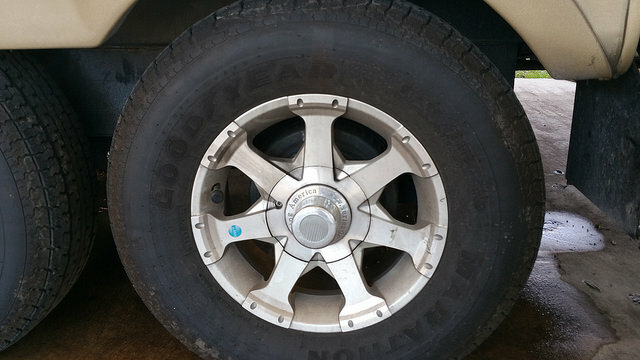 There are a variety of materials that make up RV wheels. Stainless steel is a common option, though aluminum RV wheels seem to be the favorite choice. For one, many RVers think it looks better. Also, aluminum is lighter and stronger than steel. Aluminum is also easy to keep clean and shiny. A number of companies produce aluminum wheels for RVs, with Alcoa RV Wheels being among the more popular options. #7. Spare or No Spare? Most cars have a spare tire in the trunk, but should you carry a spare tire for your RV? Believe it or not, many RVs don’t come standard with a spare tire. If you are considering adding a spare tire, it’s probably best to skip that wimpy donut and go for a full size spare. If you get all of your RV’s tires replaced, save the one that’s in the best shape and carry it in one of your storage areas as your spare. Don’t forget to also pack the equipment necessary to change it (such as a jack and a wrench). #8. Why Choose a Fifth Wheel? 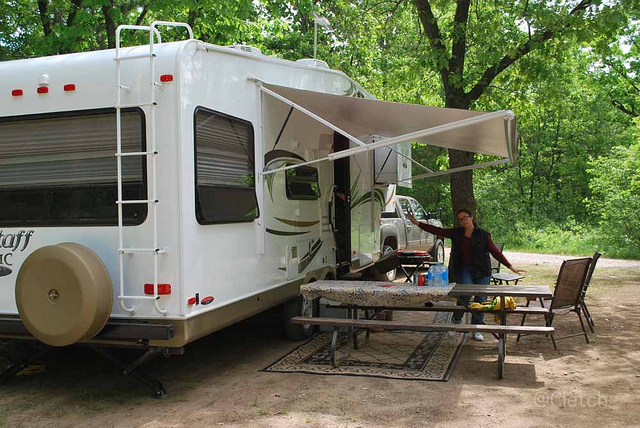 Many RVers prefer a Fifth Wheel over other classes of RVs. Why? For a few reasons. First, Fifth Wheels are larger than most travel trailers. Since a portion of the weight hangs over the truck, you are able to pull a larger load. Second, for many people RV Fifth Wheels are easier to drive and maneuver than a large Class A motorhome. Finally, they are known to have a more stable ride than a traditional travel trailer that can be subject to sway when riding down the road. A used RV will always cost less than a new one. But if you’re thinking about buying a used RV Fifth Wheel, here are a few things to keep in mind before you hand over your money. Make sure the frame is in good shape. A lot of rust is a bad sign. Check the date on the tires. Older tires, even if they look like they are in good shape, will need to be replaced soon. Consider having a mechanic or RV inspector look over the RV. They will check out the electrical, mechanical, and brake systems to make sure everything is in working order. Be wary of any signs of water damage inside or outside the RV. This could be an indication of a big problem. #10. How Big is Your Truck? 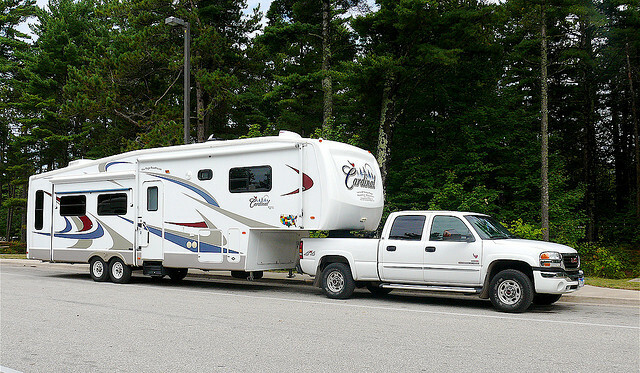 Before you buy that RV Fifth Wheel, check to make sure that your truck has enough towing capacity. 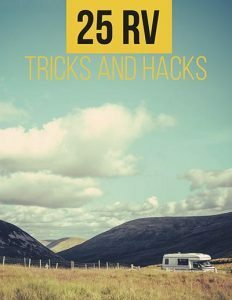 There you go, ten tips all about RV Wheels and RV Fifth Wheels. While RV wheels may not be the most glamorous part of your camping experience, they are an extremely important component. And, for many campers, RV Fifth Wheels are the favorite choice. Keep these ten tips in mind when you plan your next RV adventure.